Those who know me know my one weakness is carrot cake. I have no idea where I got this carrot cake gene from as I grew up in an apple pie and ice cream family. Wherever it came from, I’m glad it arrived! 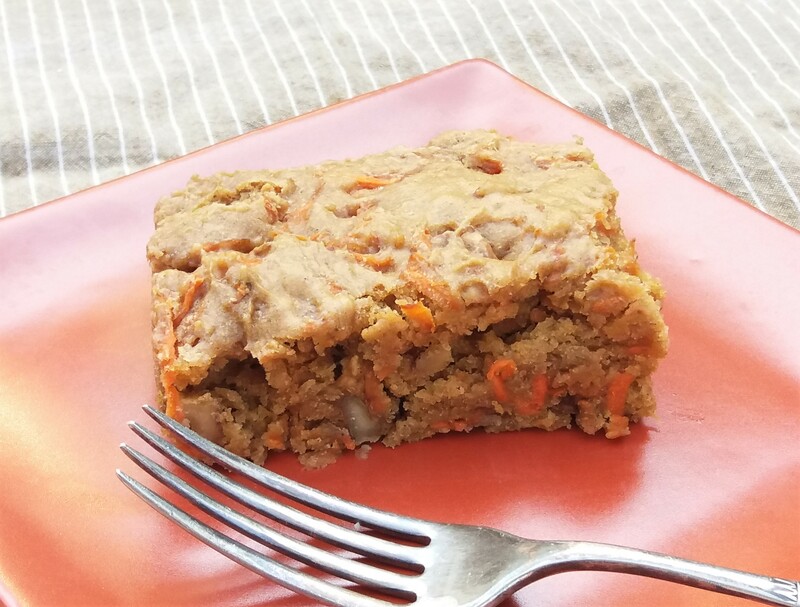 This is another delicious, moist and just-sweet-enough carrot cake that is super easy to make. Preheat oven to 350 F. Grease an 8-inch square or round pan with oil. In a mixing bowl, place the first 7 ingredients (6 if not using fresh ginger juice) and whisk them together. Let this mixture sit for at least 10 minutes. In a separate bowl, stir together all remaining ingredients. Pour the wet ingredient mixture into the dry ingredient bowl and stir until combined. DO NOT OVER MIX. Pour into the prepared pan and smooth it out. Bake for 30 minutes. Cake is done when a toothpick inserted into the cake comes out clean. Serve. Keeps great for several days.